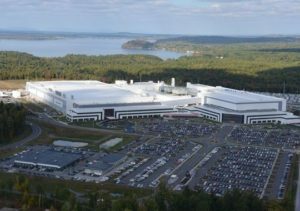 A hometown ideally located on Interstate 87 (Exits 11-13), and centrally spaced in Saratoga County, New York, 10 miles south of historic Saratoga Springs and 20 miles north of Albany, our State’s capital. Malta is midway between Boston, Montreal, Buffalo and New York City. The Town of Malta is the home of Stewart’s Ice Cream Company, State Farm Insurance regional offices and GlobalFoundries, a Nano Tech giant that manufactures the world’s fastest computer chip, which is housed inside of Malta’s 1,099 acre Luther Forest Technology Campus (also known as the birthplace of America’s space age) that still has hundreds of available acres in which to grow. Malta also has the unique distinction of being perhaps one of the only towns left in America that has a total of three unique, operating venues; a stock car speedway, a drive-in theater and a rodeo that is on the international rodeo circuit. 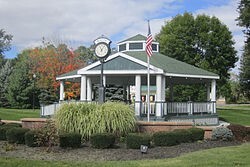 Inhabited by approximately 17,000 residents who enjoy a small town quality of life, Malta offers quiet neighborhoods, quality school systems, has not had a general Town tax in over 17 years and is located within Saratoga County, which is one of the lowest taxed counties in the State. The Town of Malta also has an extensive Parks & Recreation program that boasts a wide range of diversified recreational activities and varying settings. The Town offers its residents over 550 acres of open space, and park land, with six town parks, three of which are large recreational/sports parks. There are also many miles of scenic hiking and bicycle trails. Within Malta’s Shenantaha Creek Park is a main connection point to the area’s popular nine mile Zim Smith Trail. That trail is a major network of multi-use trails within Saratoga County that connects several townships (Malta, Halfmoon, Clifton Park) and two villages (Round Lake and Ballston Spa). The Zim Smith Trail is the only trail in the entire state of New York to be designated as a national recreation trail by the U.S. Department of Interior and National Park Service. It is enjoyed by outdoor enthusiasts who appreciate its natural beauty and opportunity to visit some historical sites in Round Lake (i.e. Round Lake Auditorium and its nationally acclaimed Davis-Ferris pipe organ) and Ballston Spa (Saratoga County seat) or dine in the various eateries in either village. The location of Malta affords easy, short distance travel to world class skiing in Vermont or the N.Y. Adirondack Mountains, boating and fishing in many local lakes and streams (Saratoga and Round Lake both border on Malta) and the Hudson and Mohawk Rivers. Great golf courses are merely minutes away. Malta’s newest canoe and kayak launch can be found just one mile from the Luther Forest Technology Campus within the Round Lake Preserve; 90 permanently preserved acres that protect key natural and archeological resources in the Town, and its important watershed. 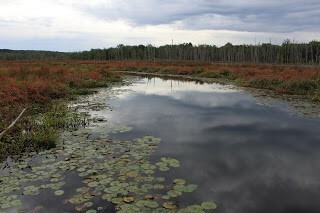 The Round Lake Preserve is an ideal place for nature walks, birding, wildlife observation, canoeing/kayaking, fishing, cross country skiing and snowshoeing. Canoers and kayakers can also meander along the Kayaderosseras Creek, which takes you through the historic Saratoga region, flowing through the Town of Malta draining into Saratoga Lake. Malta is within easy minutes’ drive to many other places of interest within Saratoga County, which is known for its “Health, Horses and History”. Visit the Saratoga Battlefield, where the “turning point of the American Revolutionary War” took place and walk the Saratoga National Cemetery or Saratoga Spa State Park, and visit the world renowned Saratoga Race Course, home of top class thoroughbred racing and/or Saratoga Raceway (standard bred sulky racing) and Casino to enjoy great excitement and night life. Additionally, one can enjoy great cultural entertainment at nearby Saratoga Performing Arts Center (summer home of the New York City Ballet and Philadelphia Orchestra) where a wide-range of top performers are scheduled annually. The National Museums of Dance and Horse Racing are both only minutes from Malta.